Does your brand stand apart from the competition? Subtle touches can make a world of difference and reinforce a brand's message and identity. 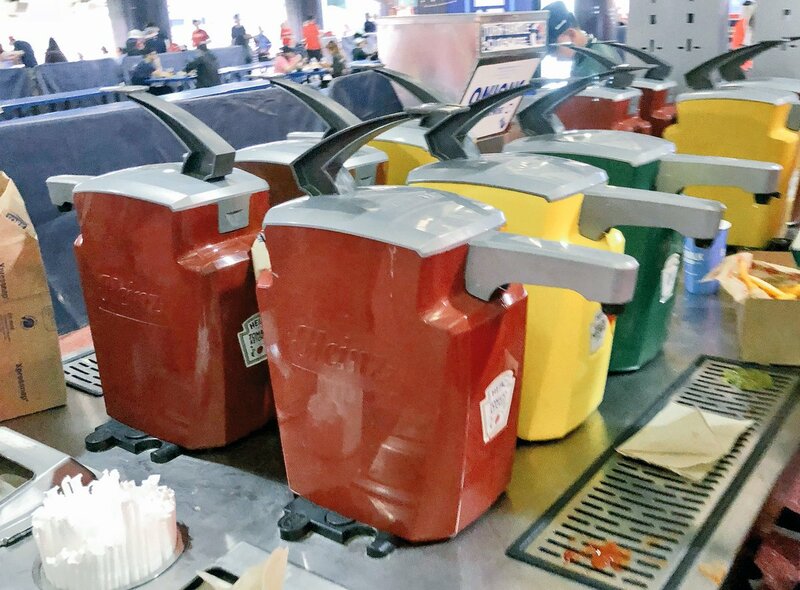 For example, these Heinz condiment dispensers at the ballpark use the keystone logo shape. 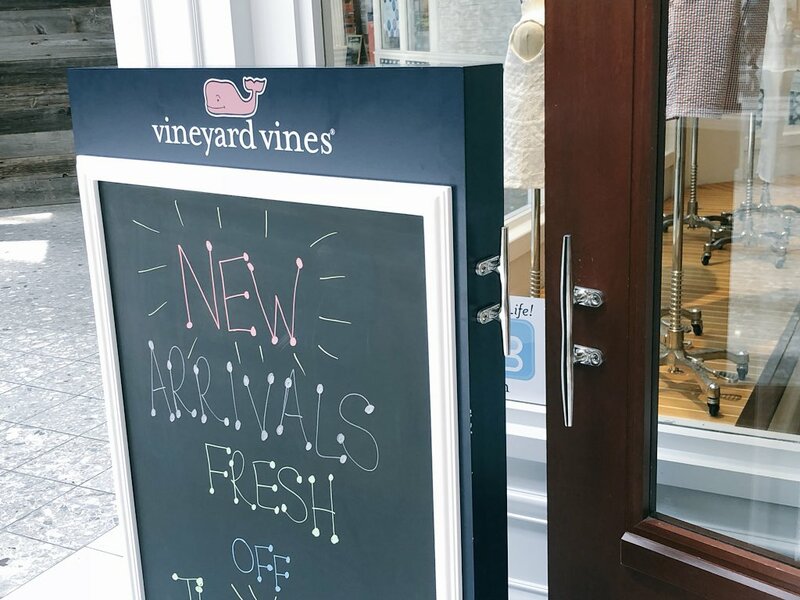 Small businesses can use similar flourishes - whether on business cards or websites or packaging or store fronts - to reinforce their brand as well. 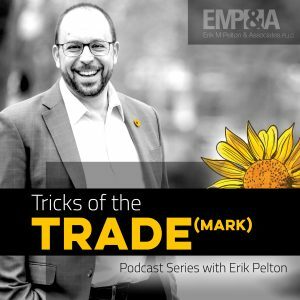 In this podcast, Erik discusses the length of time it takes for a trademark application. But there is one more important fact about the timeline. Listen to the episode for details. If you enjoy, please leave a review on iTunes! 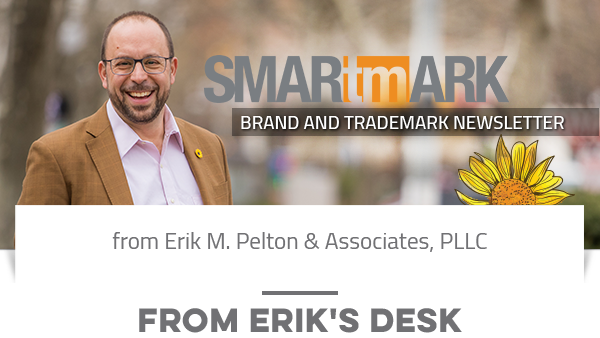 In this video, I review the key considerations when addressing a possible trademark infringement situation. Two weeks ago, the Washington Capitals hockey team won the Stanley Cup in hockey. Today is the victory parade in Washington, DC. The team has a great brand, with a great name and incredible logo. This year, they adopted the brilliant #ALLCAPS slogan. But they failed to apply to register it with the USPTO, leaving the asset vulnerable and under-protected. WASHINGTON CAPITALS name - The team name is great. It is unique in sports to my knowledge. And it fits Washington, DC, our nation's capital. For a great article on how the team got the name, read this blog post from WETA. The CAPITALS name, of course, is registered with the USPTO since 1975. Team logo - the team logo is spectacular. One of the best in sports. The red, white and blue coloring in the nation's capital; the somewhat subtle silhouette of the capitol building in negative space at the bottom, the shape of the top of the Washington Monument at the neck of eagle, lighting bolts on the wings, and the blue the "W" within the eagle design. Despite many elements the logo looks relatively simple and not overcrowded. #ALLCAPS slogan - This season, especially as the playoff run continued, the team used the ALLCAPS slogan on shirts, commercials, flags, and more to promote the team. The slogan is terrific - a natural hashtag and using a common phrase with an all new meaning applied to rooting for the hockey team. The team no doubt sold many millions of dollars of merchandise featuring the ALLCAPS slogan. In the age of social media, the short powerful slogan was a perfect hashtag. Yet as of last week, the team had not applied to register the ALLCAPS trademark with the USPTO! The promotion was launched in October 2017. Failing to protect a great slogan is risky - it makes it much more challenging (and expensive) generally to stop infringers, to control domain names and social media usernames, and to take down infringing content. A trademark registration has numerous benefits and provides tremendous value. Given the many millions of dollars in revenue the team has generated this season around this promotion, the failure to apply to register the trademark (USPTO filing fee as low as $225) for this wonderful slogan is as incredible as team's run to the Cup!